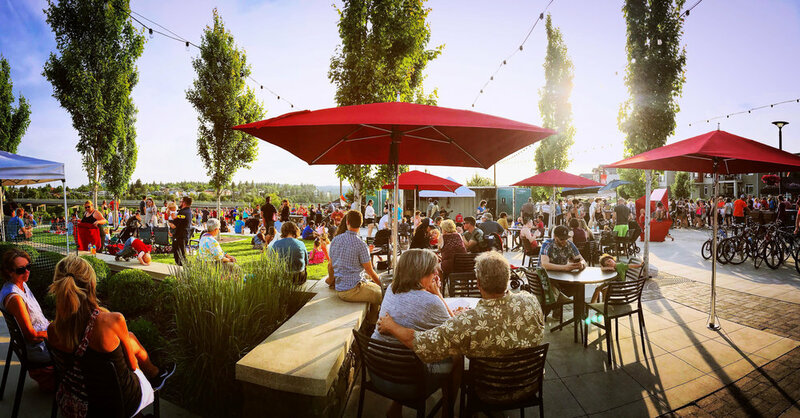 Kendall Yards Night Market offers you association with one of the most respected and well-loved communities in Spokane- Kendall Yards! We are working to support Washington’s family farmers, crafters and food artisans while promoting healthy lifestyles for our community. Known for quality and authenticity, alignment with KYNM brings you face to face with Washingtonians and visitors who care about farm fresh food, health living and community, and with people who value supporting the local food economy. Kendall Yards Night Market offers you 20 weeks of farmers markets with special events, advertising and a robust digital media presence. Kendall Yards Night Market is dedicated to consumer education as a critical component of building sales for local agriculture. In order to keep vendors’ fees as low as possible and still fund educational outreach, KYNM relies on sponsors to support its programming goals. If you are interested in learning more about partnership opportunities with KYNM, please click the button below and complete the form to contact us. Sponsor candidates are evaluated on an individual basis to ensure there is no direct conflict with KYNM’s mission. By becoming a sponsor of Kendall Yards Night Market, your organization shows a shared commitment to fostering a community that is economically, ecologically and socially sustainable.